Stationery manufacturer CONTE SA (BIC Group) has relied on AR Racking, an industrial storage specialist, for the installation of an adjustable pallet racking storage system for the warehouse of their new factory in Samer (Pas de Calais, France). This new factory, inaugurated at the end of October 2017 in the presence of Minister Gérald Darmanin, saw the construction of two new buildings: one for production -5400 m²- and the other for maintenance and logistics -6600 m²-. CONTE BIC has taken the opportunity to break the record of the largest pencil in the world: 1 km long. 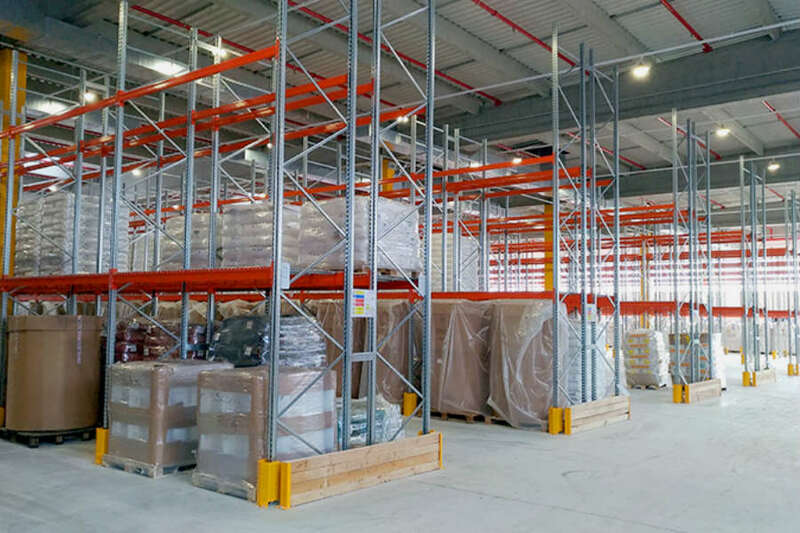 The project -carried out by AR Racking in close collaboration with the services of CONTE SA.- found the right solutions to store a wide variety of pallets while rationalizing storage space. The storage solution installed by AR Racking is a conventional pallet racking system, combined with accessories such as drawers for handling loads like ink buckets or large cartons. This layout was completed by a live pallet rack with a capacity of approximately 600 pallets. For Franck Berthe: "we were very lucky to be able to build this building, so we could not make a mistake when choosing the system to install. After all the simulations, choosing AR Racking was obvious because of their ability to listen, their quality and for the following they gave to our project. Even so AR Racking had to show that they would be competitive". Christophe Braquehais concludes: "we propose solutions, but these proposals are nothing without the feedback and the exchange that we have with our customers. It is by uniting our know-how that we find the best ideas”.